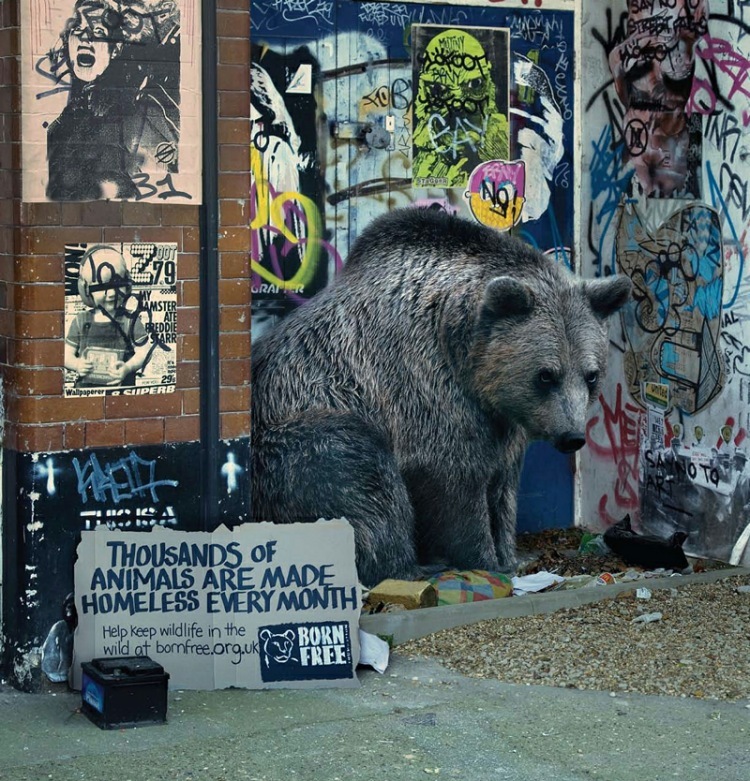 Creativity and awareness are watchwords at the new advertising campaign made by ECRS agency, which assigns Born Free "Keep wildlife in the Wild". Anyone of us is conscious about the quantity of people that are living in the streets because of lack of resources or choices. 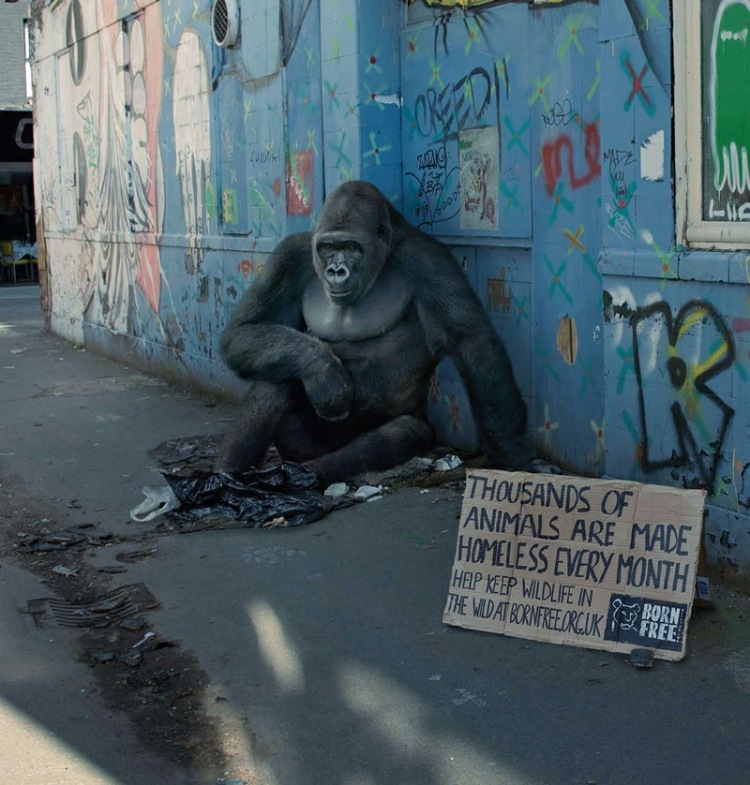 The last Born Free campaign takes this idea and puts wild animals, with no home, at urban sceneries. The idea is shocking and touching the audience for the fact there're thousand of animals at the same circumstances -- animals which had no power of choice, as someone or everyone of us contributed for the destruction of his natural habitat. The important is that, beyond the visual impact, this campaign focus themes that really matter to our present times. 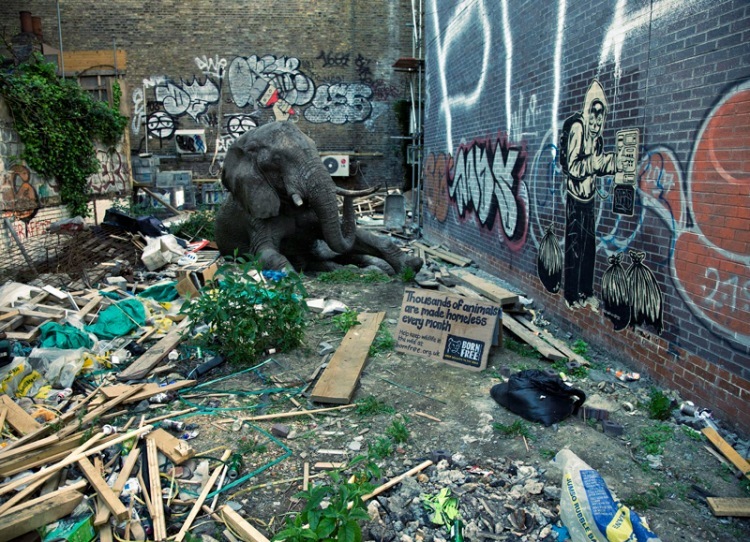 Animals without home and the destruction of natural habitats, development and construction of an increasing number of cities and structures which consequently leave thousands of animal species with no home, the wild environment which is destroyed with no concerns, are themes that Born Free intends to broach and bring to all of us, in order that the mission of protecting species and conserving their habitats succeed. 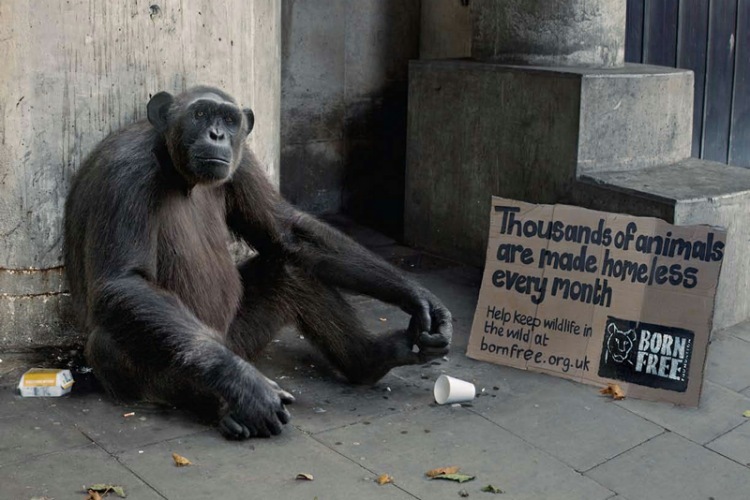 Born Free is foundation that believes, above all, that wild animals have the right of living at their natural habitat. There are a bunch of factors which lead to the destruction of these environments and natural habitats, as deforestation, wars, climate changes, agriculture and growth of population which provokes the increasing of urban centers. We win and build houses, most of the time stealing or getting the houses of many of these animals. 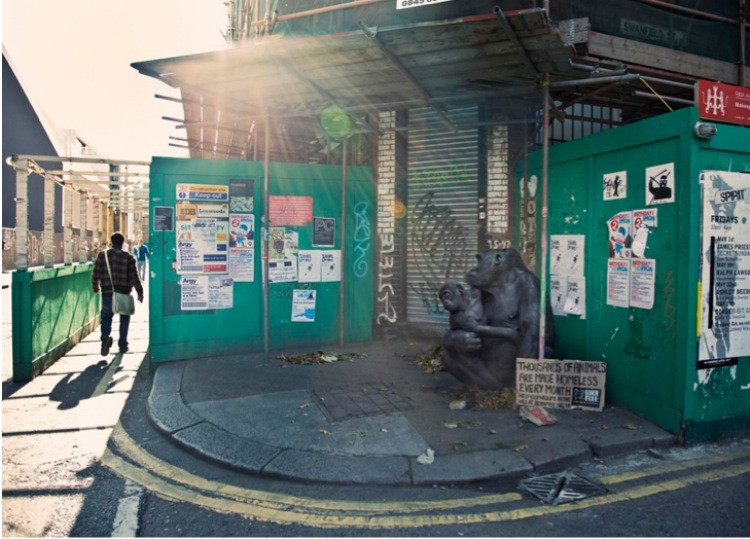 This brilliant campaign uses George Logan's photography and the WCRS company creative abilities. All the developed services and the publicity space were donated, in order to increase the awareness about this problem and help Born Free at this mission. 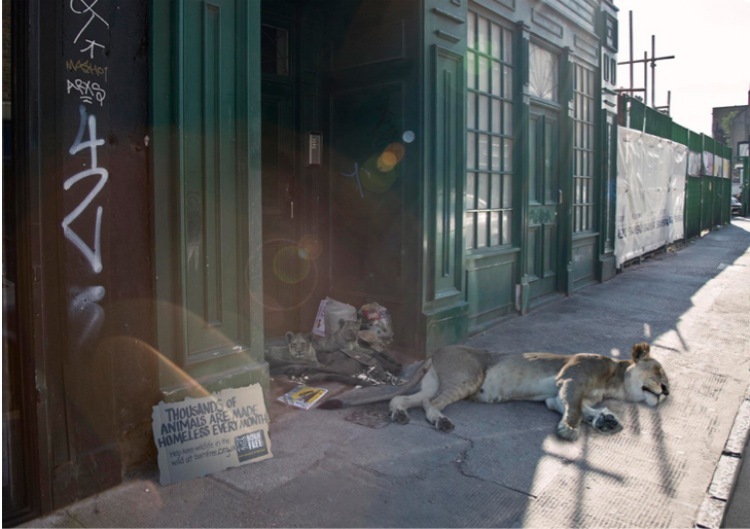 The images of wild animals put at urban sceneries intend to shock and alert to the alarming rhythm that nature and wild habitats are destroyed on these days.